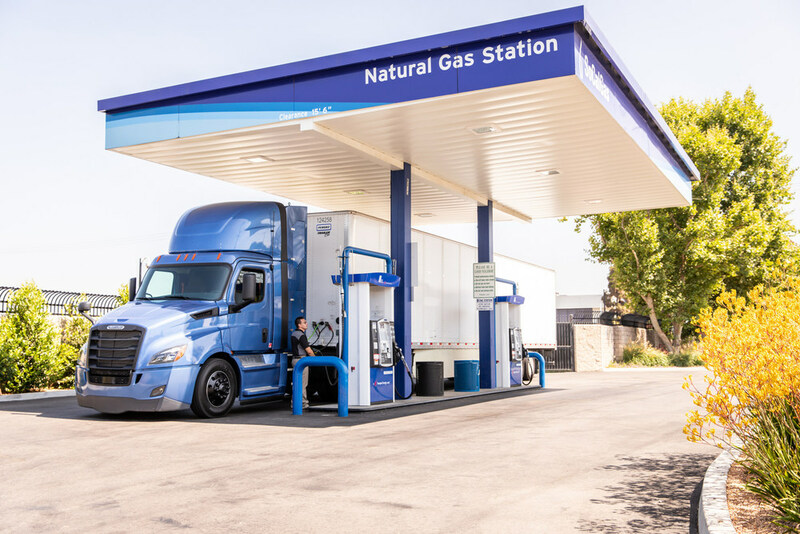 Southern California Gas Co. (SoCalGas) has lowered the price of CNG at all of its 13 public access NGV fueling stations by $0.26 per gallon beginning April 1st. Through a California Public Utilities Commission approved program, the utility is able to offer a reduced price by returning revenue generated from the sale of Low Carbon Fuel Standard (LCFS) credits to customers. The LCFS program is administered by the California Air Resources Board and seeks to reduce greenhouse gas emissions (GHG) from transportation fuels by 20% through 2030. Under the program, fuels that help lower GHG emissions, such as natural gas, generate LCFS credits. SoCalGas also recently announced it will soon begin using renewable natural gas at its fueling stations. Because of its low or even negative carbon intensity, renewable natural gas can generate additional LCFS program credits. When trucks are fueled with renewable natural gas, GHG emissions are reduced by at least 80%.